Ford Motor Company logged its highest commercial vehicle sales ever in the UK last year, delivering 123,958 vehicles over the course of 12 months to extend its run as the Kingdom’s leading commercial vehicle brand to 52 years. Ford’s 2017 results also have the brand sitting as the country’s car sales leader for a 41st year in a row. “Our CV sales growth was particularly positive in an increasingly challenging market. Ford has consistently provided UK customers with the most appealing vehicle range and our CV line-up is the best ever, offering class-leading vehicles in all key segments,” said Andy Barratt, Ford of Britain chairman and managing director. Ford sold a total of 287,396 vehicles in 2017, capturing an 11.3% market share and putting the Blue Oval a full 78,934 vehicle sales ahead of the second-place automaker. 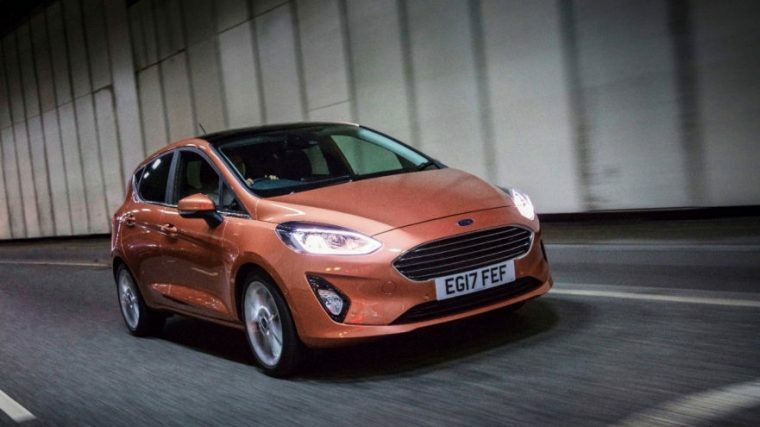 Ford possessed an 11.7% retail car sales share, four percentage points better than its closest competitor, thanks to the Ford Fiesta’s ninth straight year as the UK’s best-selling vehicle. Fiesta registrations totaled 94,533 units in 2017, nearly 20,000 units better than the second-best-selling vehicle in its segment. Where the total UK market for commercial vehicles was down 3.5% from 2016, Ford saw its sales go up 3.4% in 2017 thanks to a 32.2% market share and another year of leadership from the Ford Transit range. Transit Connect saw a record 19,805 vehicles sold in 2017, up 27% year-over-year.